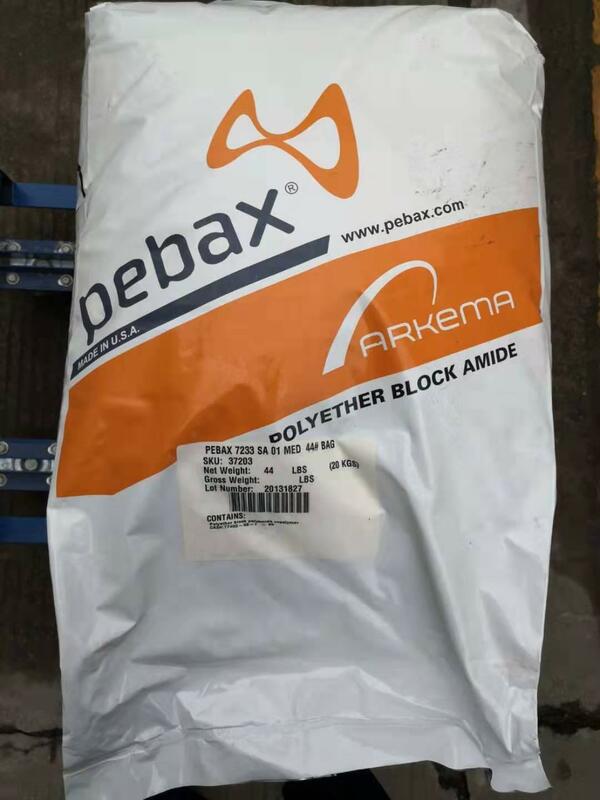 Arkema Polyether Block Amide PEBAX block copolymer. 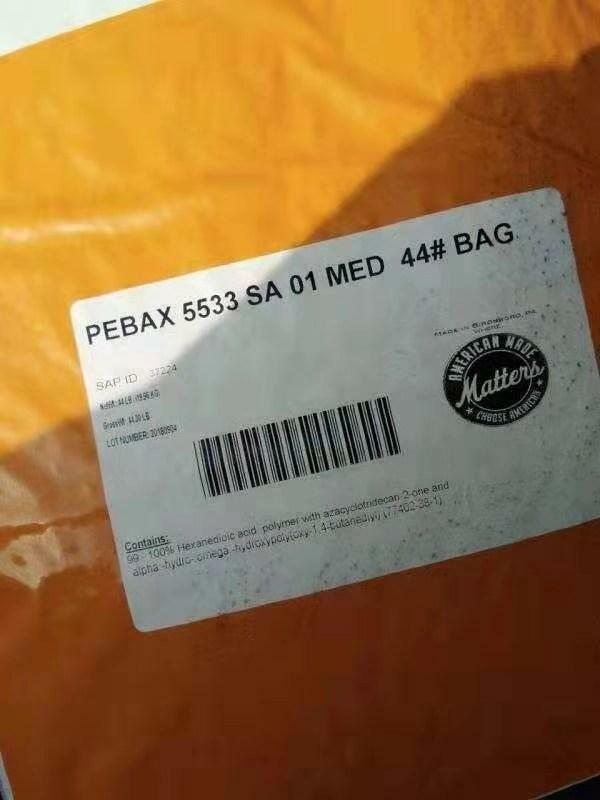 The biggest offer of physical and chemical properties. Melting Point :158°C ,Hardness Shore:25D, Density:1.07 g/cm³. Melting Point :144°C ,Hardness Shore:33D(82A), Density:1.00 g/cm³. Melting Point :160°C ,Hardness Shore:42D, Density:1.00 g/cm³. Melting Point :159°C ,Hardness Shore:54D, Density:1.01 g/cm³. Melting Point :169°C ,Hardness Shore:64D, Density:1.01 g/cm³. Melting Point :172°C ,Hardness Shore:69D, Density:1.02 g/cm³. Melting Point :174°C ,Hardness Shore:69D, Density:1.01 g/cm³. 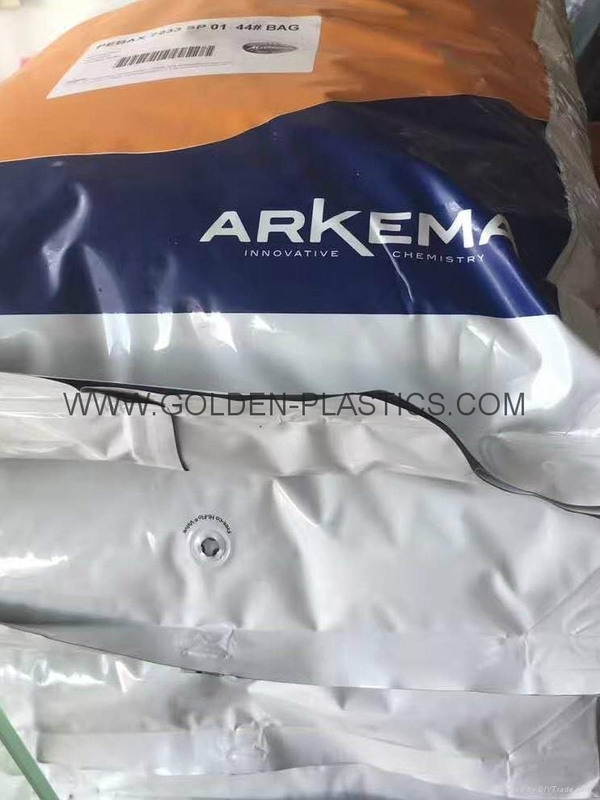 combines high transparency level with the unique performance of Pebax, thermoplastic elastomer made of flexible polyether and rigid polyamide. Suitable for injection molding applications.manufacturing of sports and ski shoes. Melting Point :170°C ,Hardness Shore:60D, Density:1.04 g/cm³. Melting Point :158°C ,Hardness Shore:40D, Density:1.07 g/cm³. 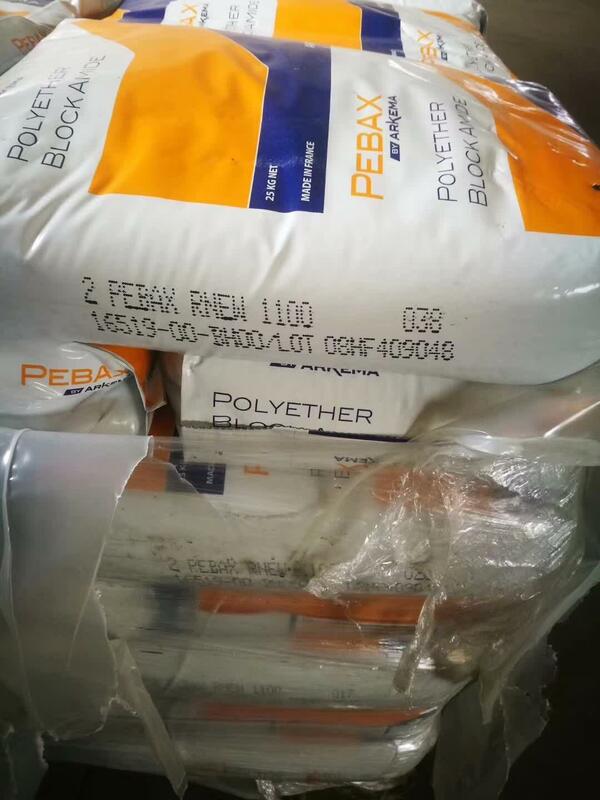 Polyether Block Amide is a thermoplastic elastomer (TPE) made of flexible polyether and rigid polyamide (PA), offering highest quality. Suitable for extrusion and injection molding processes.The specially designed to meet the stringent requirements of medical applications such as minimally invasive devices. Recommended for arterial catheters and flexible injected parts. 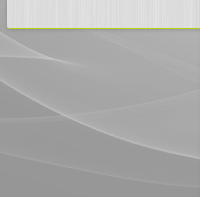 Upon request, letters regarding USP Class VI compliance can be provided.